The trend is increasing for smartphone manufacturers to scale down their expensive devices. Those who can downgrade their smartphone to something everyone can get their hands on will of course have the bigger portion of sales. Samsung did a great job with their Samsung Galaxy Spica I5700. Read here to find out the details on this new smartphone from Samsung. Most smartphones that get scaled down also get the inferior “guts” that make them work. Not this smartphone. This phone actually goes faster than its larger counterpart. There are of course things that obviously have to be truly downgraded. The “Galaxy Lite” Spica does not have a flash for the camera. If you can live without that you may want to get a closer look at this smartphone. The main device, the screen is the first topic at hand. The Spica has a great one. It is the new AMOLED version of displays and uses less battery power. It is also brighter than the older TFT versions. It is an average size for a phone with its proportions; 3.2 inches. Resolution is rated at 320 by 480 pixels which is common for many smartphones. With smartphones now dominating the mobile phone market, getting your hands on a phone that is capable of sending email, browsing the web and video calling has never been easier. Many mobile phone companies are spoiling customers with a vast array of cheap smartphones, meaning you have little excuse to not buy one. This article we will go through some of our favourite bargain mobile phones of 2012. Samsung have really pulled it out of the bag with this phone, offering a cheaper version of their flagship Galaxy model. With a 3.5” touch screen, 5 megapixel camera with autofocus and LED flash and running the Android 2.2.1 Froyo operating system, this handset is a real competitor in the bargain mobile phone market. With contracts starting at roughly £13 per month you are getting a great handset and a bunch of minutes for a great price. A few years ago nobody would have ever imagined they could get hold of a BlackBerry mobile phone on a budget. The once king of the business mobile world is now available for as cheap as £13 pounds a month. With a full Qwerty keyboard, BBM messenger and the ability to turn the device in to a Wi-Fi hotspot, this phone offers great value for money for those looking for a business mobile. HTC are by far the most reputable Android mobile phone producer, responsible for some of the most popular smartphones on the market. For those familiar with the old Desire models, you will be happy to see that HTC have given some major updates to their latest handset at an extremely affordable cost. With the ever popular Beats Audio™ technology as made famous by Dr Dre supplying the sound and running the latest Android 4.0 (Ice Cream Sandwich) operating system, you can have a taste of the cutting edge for as cheap as £13 a month. Be sure to shop around for the best android phone deals and you may find yourself with some even better deals. For those looking to find a real bargain, look no further than the Samsung Europa. By far one of the most popular bargain handsets out there, you can get the smartphone experience for as little as £10 a month. As you would expect for a handset of this price, the features have been scaled down, with a 2.8” screen and 2 megapixel camera. This phone is still a great option for those looking to save money whilst getting a handset to keep up with the ever advancing mobile phone market. There are plenty more bargain handsets out there so finding the right phone for you will always require a bit of research. Check online and in store for a list of deals on offer, you never know, you may find a better deal than you could have hoped for. If rumours are true, the HTC One X could be getting an upgrade in time for October. Holding the internal name ‘HTC Endeavor C2’ the HTC One X+ is expected to iron out all the problems users had with the original One X. There have been numerous sources outlining the technical specification but whether these sources are trustworthy is yet to be seen. Here are some things we can expect to see on the new One X+. HTC have promised to keep the design in line with the One X for accessory compatibility, meaning, on the whole, not much will be changed. We expect little alteration in the screen department as the resolution is rumoured to be 1280×720, the same as the original One X. There will however be a new range of colour ways that will be rolled out to please those who appreciate superficial modifications. If the leaked information is anything to go by, the HTC One X+ stands to be the fastest handset on the market, with a dual core Tegra 3 processor clocked at 1.7GHz providing the power. Considering the fastest processor on the market, fitted on the Samsung S3, is only hitting 1.4GHz, this is a significant upgrade that will really push the smartphone market forward. Battery life has been a huge problem for HTC One X owners, who have reported huge drops in battery life after watching media content over Wi-Fi. HTC released a firmware update which improved things somewhat but as things stand, the battery life leaves room for improvement. The HTC One X+ is sure to have a battery update. It is vital, as it will need to power the 1.7GHz Tegra 3 processor. Little is known about the pricing of the handset on a contract but we can assume they will be similar to those found on the current HTC One deals. Since partnering with UrBeats, the sound quality on the HTC handsets has become a great selling point. It seems that HTC intend on going one step further with the One X+ by supplying customers with a free pair of UrBeats headphones. This is an unprecedented move by HTC, being the first company to really partner up with established audio brands to provide even higher quality finished products. Apple take note. Besides running the latest Android operating system ‘Jellybean’, expect the HTC One X+ to make use of HTC’s excellent sense overlay, which will add additional features, exclusive to the One X+. Word has it that the One X+ will also make use of HTC’s ClearVoice technology, which is said to drastically improve call quality. 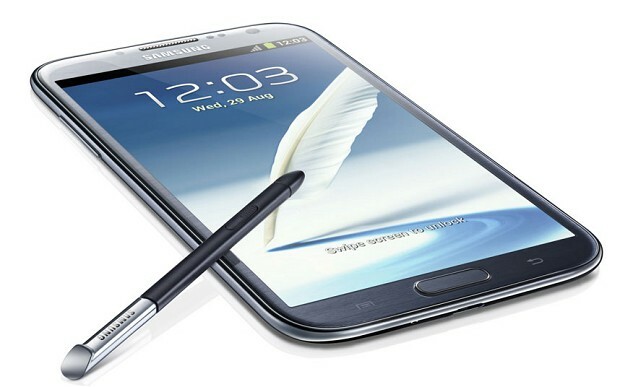 There’s something downright alluring about new tech, and we had to go ahead and review the Samsung Galaxy Note II. As a rule of thumb, we tend to talk about a few tech toys after the fact, to give time for any updates to surface. Interesting information usually comes into play after a launch, and this was definitely no exception. There have been over 1 million Galaxy Note 2’s sold, which means that this is definitely one of the most popular smartphones on the market. Android is definitely a platform that has enjoyed a banner year in 2012, and it is really only a matter of time before Android makes another innovation. There is really a wide open field here, but we wanted to focus on the Galaxy Note II right now. So, let’s look at hardware. Everything on this phone is designed to try to be a human friendly powerhouse. Does it meet that goal? In a sense. It weighs 6.35 ounces. It’s a very long phone with a very large screen. Some will find that the screen doesn’t let the smartphone be as portable as you might have liked, but it’s definitely worth checking out. Initial reports indicate that the new Note is very durable, being constructed from polycarbonate material. The buttons are easier to find by feel, but that’s a blessing as well as a curse. Be prepared to accidentally press the button more often than what you would like. There’s a 1.9MP camera front-facing, and an 8MP rear-facing camera. There’s a removable 3100 mAh battery, which is a bit of a relief. You’ll also find microSIM, microSD, and contacts for NFC (Near Field Communications) and wireless charging. Global versions of the Note 2 are equipped with 21.6Mbps HSPA+ (850/900/1900/2100 MHz), paired with quad-band GSM & EDGE. There’s dual bend Wi-Fi 802.11 a/b/g/n w/ Wi-Fi Direct. Want more? Bluetooth 4.0, DLNA and NFC round out the list. There’s up to 64GB of storage space, There’s also microSD support for up to 64GB. The processor is a 1.6Ghz quad-core Exynos 4412. The RAM got bumped up to 2GB, which makes the phone very zippy. Operating system is Android 4.1 Jelly Bean — which is alright by us. The Note II has a brilliant display. It’s got a 1280×720 HD Super AMOLED panel. The new Samsung galaxy S3 is long awaited. There have been all sorts of rumours as to when it will his the shelves and it was expected that it might be released at the Mobile World Congress. However, the latest rumours are that it will not appear abroad for quite a while. The latest thoughts on the matter are that it could appear in the UK in April, although other sources are reporting that it will not happen until July. This is extremely exciting and it is a good idea to start taking a look around for Samsung galaxy s3 deals now. It can be good to see what people are saying about it and think about whether you want one, but equally it can be wise to see who will be selling it and what sort of deals they might have. Once a new phone is released, it can be tempted to get it as quickly as possible without thinking about where from. However, if you start researching now and finding out where you may be able to get it, then you should get a good deal once it is released. Take a look around at where might be sellig it and even a price comparison website might have details about where to get it the cheapest. You may think this is rather silly, as the phone is not yet for sale. However, if you build up a list of places to look at prices, on the day of release you will be able to look at this collection of websites and you will soon be able to find the cheapest one and get it on order. It could save you quite a bit of money and certainly a lot of time as it will not delay you in putting in your order for the phone. You may even find that you will be able to pre order form some places so keep your eyes peeled for information. You will be bound to be hunting around for details of what the spec of the new phone will be and so you an take a peek at where to buy it from at the same time. It has been revealed that it will have a big screen and will be ceramic rather than plastic. It has also been suggested that it will have a quicker processor and a better camera, but until anything official is released, it is all rumours.